The following Terms & Conditions obviously announced on both our website page and control panel system are effective for every merchant once their registrations completed. Merchant should acknowledge and follow. Actually, payment gateway system is provided to receive payments by credit cards from buyers through internet network. Likewise, ThaiePay system is a service for receiving payments by credit cards used in purchase products or services through the internet. Our merchant must be a person, website owner, or company who sells products and/or offers services on the internet and requires using our service for receiving payments from buyers who pay by credit cards. 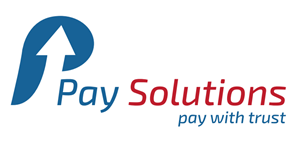 Our system, ThaiePay, provides online payment system, control panel system, payment summary system, buyer’s information, security systems and more. Merchant can be assured that our system is safe and convenient for you and your buyers. The products and/or services of the Merchant shall neither be prohibited by law nor contrary to moral standards. If THAIEPAY discovers later that the Merchant has used our system to receive payments for products and/or services prohibited by law and/or contrary to moral standards, ThaiePay reserves all rights to confiscate all payments and cancel all services provided to the merchant. ThaiePay will summarize all merchant's income every month and remit the income after deducted fee into merchant's bank account on the 10th of the following month. In case that the 10th day of the month falls on the day which ThaiePay or banks generally are not working, the income will be remitted on the next business day. In case that the price of product or service is in foreign currency, merchant acknowledges and agrees that the income which ThaiePay will remit into the merchant’s bank account will be converted by using the daily Buying Rate (exchange rate of Kasikorn Bank), on the date that payment was made. Merchant agrees to check orders and buyer's information carefully and regularly and not to make any shipments within 48 hours in order to protect merchant from any damages. In case that ThaiePay has verified and found the suspicious order or large amount of payment, the status of that order can be changed from Complete to Hold within 48 hours. If Hold status occurs, merchant accepts to follow our suggestions. Merchant agrees to accept all refusals of payments (Charge Back) if bank or credit card company later found suspicious, irregular, dishonest or fraudulent payments. Merchant consents to be deducted the amount from merchant’s income or transfer the amount back to ThaiePay. That is to say, merchant shall be responsible for all expenses and damages. every transaction over 50,000 baht (fifty thousand baht) instead in order to perform the step of CDD (Customer Due Diligence). Customer must fill the form and attach copy of personal document such as ID card or passport and send back to ThaiePay for further verification. We will reserve all rights to report the issue to Anti-Money Laundering Office to investigate in the next procedures. ThaiePay reserves all rights to change the above Terms & Conditions as appropriate with or without notice to merchant on each occasion.